The 2019 Honda Clarity Plug-In Hybrid has risen in popularity due to its impressive performance, its remarkable efficiency, and for its assortment of sophisticated features. But if you’re trying to see if it would be the right choice for you and your experiences of traveling throughout Huntington Beach, Corona Del Mar, and Orange County, you’ll want to know more about what this sleek and stylish hybrid can do. At Norm Reeves Honda Superstore Huntington Beach, we’re here to help drivers get a stronger sense of the 2019 Honda Clarity Plug-In Hybrid! Keep reading to see if it’s the right vehicle for you! The Honda Clarity Plug-In Hybrid includes a few components under the hood that are responsible for its performance. The vehicle includes a 1.5L 4-cylinder engine that produces 103 horsepower. The vehicle also includes an AC Permanent-Magnet Synchronous Electric Motor that can produce 181 horsepower. When this is combined with the force of the engine, it can produce 212 total horsepower. In terms of the vehicle’s efficiency, the 2019 Honda Clarity Plug-In Hybrid gets an EPA-estimated 44 city/40 highway MPG and even offers a 340-mile gas-electric combined driving range rating*. The interior of the Clarity Plug-In offers plenty of fun and sophisticated features that add more enjoyment and convenience to your driving experiences. The vehicle includes the 8-inch touchscreen that’s mounted into the dashboard and allows you to select your media options. The Clarity offers media like the standard AM/FM radio, Pandora compatibility, USB and auxiliary inputs for portable media devices, and even Bluetooth® HandsFreeLink® and Streaming Audio. The Clarity also comes with a 3-month trial subscription of SiriusXM® Radio, which offers more than 150 different stations of audio entertainment. The Honda Clarity also includes a variety of advanced safety features with the Honda Sensing® suite. This suite utilizes features that work with sensors outside of the vehicle that measure objects in the vehicle’s path as well as the vehicle’s rate of approach. If these sensors detect a possible collision, a warning will be sent to the driver and assistive measures will be taken. The vehicle includes Forward Collision Warning, Collision Mitigation Braking System™ (CMBS™), Lane Departure Warning, Road Departure Mitigation System, and even Adaptive Cruise Control (ACC), which adds more convenience and security to your highway commutes. 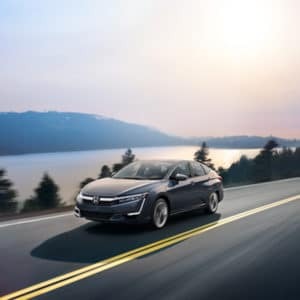 At Norm Reeves Honda Superstore Huntington Beach, we hope that this guide on the 2019 Honda Clarity Plug-In Hybrid gave you the insight you were looking for to help you learn more about this vehicle. Now that you’re aware of what this vehicle can do and what it offers you, you’re ready to take the next step and learn even more! You can drop in for a closer look, or you can just take it out for a spin to really see what it can do! 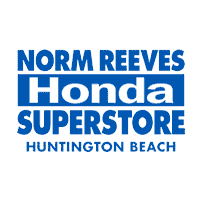 Schedule your test drive with our Honda Dealer near Huntington Beach! We’re here to help drivers all throughout Huntington Beach, Corona Del Mar, and Orange County learn more about their options so they can find the vehicle that’s right for them! *110 combined miles per gallon of gasoline-equivalent (MPGe) electric rating; 44 city/40 highway/42 combined MPG gasoline only rating. 47-mile maximum EV mode driving range rating. 340-mile combined gas-electric driving range rating. Based on 2019 EPA mileage ratings. Use for comparison purposes only. 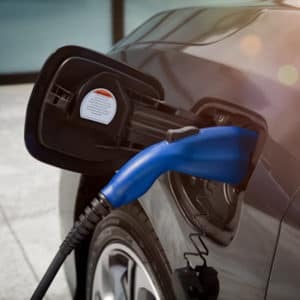 Your MPGe/MPG and driving range will vary depending on driving conditions, how you drive and maintain your vehicle, battery-pack age/condition and other factors.